This Outdoor 240V LED compatible light is waterproof (IP 65) so it is ideal for Australian weather conditions. It is fully adjustable making it the perfect versatile outdoor wall light. You can use it as a wall down light bringing your passageway's to life, or as a spot light making a feature out of your garden at night. This light is 304 Stainless Steel, making it both hardy and stylish. It comes with all the necessary components for connection to your wall and is even LED compatible if you are looking to save a few extra dollars. It has a GU10 fitting for LED's or Halogen globes. You may have seen this light at some "architectural lighting stores" for more than $100 - there is no need to pay such retail margins for quality. This product has a whole range of uses, which is why it is such good value. you can use is as a up or down light on your walls, highlighting the best features of your home. You can use is as a spot light on your most prized plant-life. You can even use it to bring your entertaining areas to life. The choice is yours. Stainless steel is different from Aluminium and brass. It is a harder and more durable metal and far less likely to bend or distort. As you can imagine, being consistently outside in all sorts of weather can be taxing on your fixtures and fittings, however, stainless stell will not corrode over time. Some maintenance may be required, a simple spray of oil and a rub every so often will add to the longevity of your fittings. 3 year manufacturer warranty against manufacturing faults. If the transformer is being hard-wired it must be installed by a qualified electrician to maintain warranty. 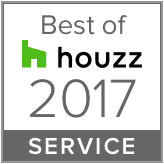 See product documentation and our Returns and Warranties Policy. 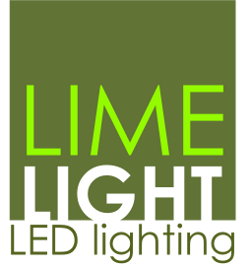 Limelight is a brand focused on green energy LED lights for Australia. Aside from simple installation procedures and quality workmanship, Limelight LED's are energy-efficient and safer than traditional incandescent light bulbs that waste 90 percent of the energy they consume on heat. Limelight LED Lighting delivers an environment friendly way of stylishly making your home and mother earth a better place to live in. As this must be connected to 240V you must use a Licensed electrician.